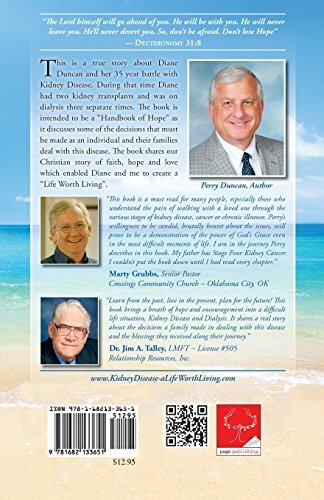 Kidney Disease - A Life Worth Living - Relationship Resources Inc. 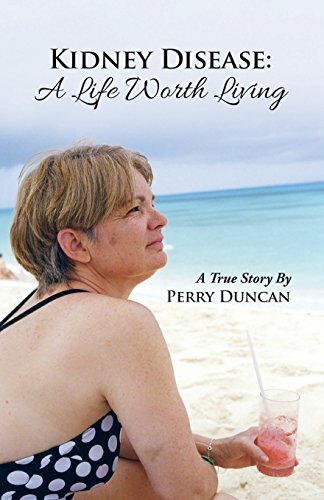 This is a true story about Diane Duncan and her 35 year battle with Kidney Disease. During that time Diane had two kidney transplants and was on dialysis three separate times. The book is intended to be a “Handbook of Hope” as it discusses some of the decisions that must be made as an individual and their families deal with this disease. 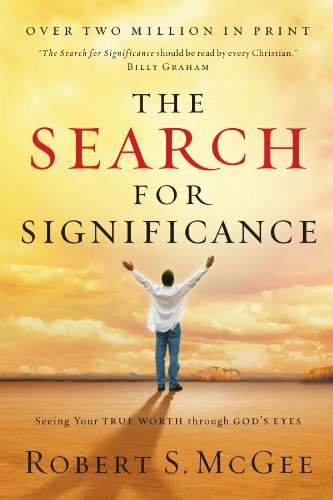 The book shares our Christian story of faith, hope and love which enabled Diane and me to create a “Life Worth Living”.